I was honoured to be asked to speak or write about Bob Marley in various media on his 70th Earthday. 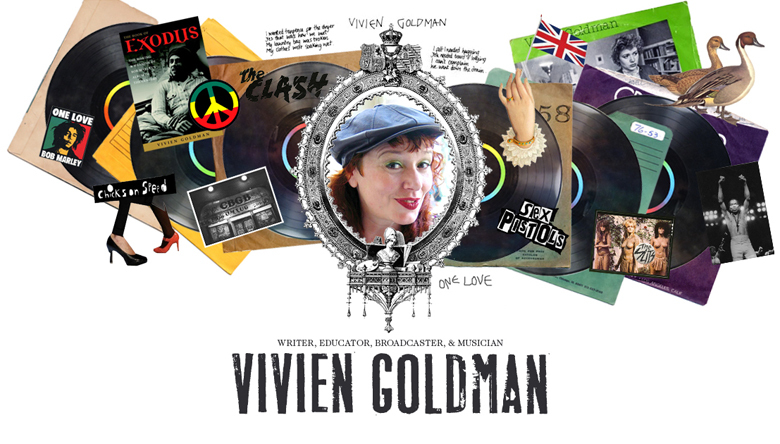 In The Guardian, "His friend Vivien Goldman asks how a hard-working activist came to represent feelgood partying, and salutes his enduring influence." The article was selected by biznews.com as top of the 5 best reads in the world this week. ... & as I write this, I am about to do an interview about Bob at 2.30 (this is Feb 7, 2015...) with Claudette Habermann of National Public Radio, Baltimore, Morgan University Radio. I am following an interview with his daughter, Cedella.